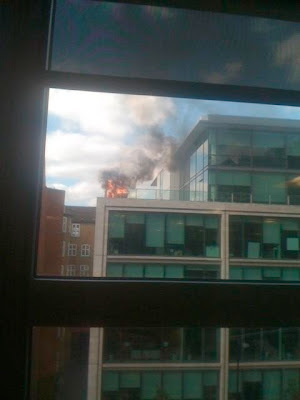 So Google’s London office is on fire. Karma, right? I mean I’m not saying we had anything to do with this, like it’s some kind of warning or something. Not saying we didn’t, either. I will admit that I’m not entirely unhappy about it.